The summer season is coming to a close; though many of us are still hanging on to the last of the long days and beautiful weather. We’ve spent evenings among the stars around bonfires, and cooled off at the local pool. We’ve created summer memories with friends and enjoyed vacations with family. We pack a lot of fun into this season, so it’s hard to remember that we still have obligations to our health. Summer lends itself to a number of wonderful treats and sweets, so make sure you keep your priorities in check and visit the dentist London patients recommend for your family’s oral health. 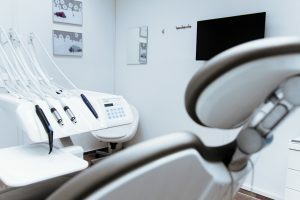 The ADA recommends dental visits for an exam every 6 months. A professional cleaning and oral health screen keeps your health in top condition. These visits allow our dentist London patients favor to ensure tooth decay and cavities aren’t affecting your health. The check-ups also help our dentist look for gingivitis and oral cancer warning signs. A lot can happen in 6 months. If your daily brushing and flossing habits have changed, a quick visit to our office can warn us to the threat of gum disease. Red, sore, or bleeding gums are symptoms of gum disease and can lead to periodontal disease. A dental examination can help reverse these symptoms before they become more advanced and dangerous to your health. If you experience jaw pain, you may be showing signs of temporomandibular joint dysfunction or TMD for short. TMD refers to the TMJ or temporomandibular joint. When you have pain in your TMJ, TMD is the result. This can be caused by missing teeth, a health disorder, sleeping habits, or bite problems. Extended TMJ pain leads to erosion of the enamel and bone so get it checked right away. No one wants to go back to school with bad breath. If your summer menu has included lots of junk food and sweets with little or no oral health routine, bacteria will set in and cause embarrassingly bad breath. Halitosis is also a sign of infection. Get the issue checked out by the dentist London families recommend, Dr. Couch. If you’ve had one too many s’mores this season, a simple aching tooth may be the sign of a cavity. Before the tooth decay becomes too advanced, get it checked. Tooth pain is a symptom of tooth decay and cavities. It can also be a sign that the decay has worked its way into the root of the tooth or an abscess is present. Quick attention to health matters means the problem won’t get worse and thus require more complicated procedures. Aside from the above reasons to visit our dentist, do it for the benefit of your overall health. Many health problems begin in the mouth. Avoid risking your health by keeping your appointment and following good brushing and flossing routines. For more oral health information, follow our team on Facebook, or give our office a call to set up your appointment. One visit, every 6 months, puts you back on track for a great smile and healthy mouth.